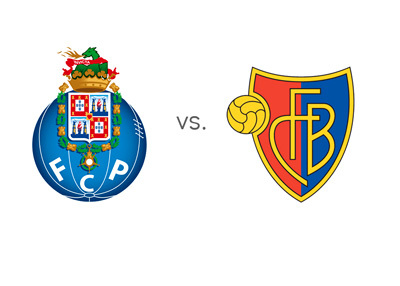 Porto defender Danilo put his club in an advantageous position going into the 2nd leg clash with Basel at the Estadio do Dragao on Tuesday, May 10th. By converting a penalty in the 80th minute he helped his side earn the precious away goal in a 1-1 draw at St.Jacob-Park. Porto looked the better side and were unfortunate not to have been two goals up had they been not disallowed owing to technicalities. The Porto players are a talented bunch bereft of any big names. Cristian Tello is one such player (on loan from Barcelona) who's on the lookout for goals. He almost did in Basel only to be disallowed. Jackson Martinez is another who will pose a constant threat to the Basel goal as he showed in the 1st leg. The combine of Yacine Brahimi, Martinez and Tello should prove a handful for the defenders of Basel. What they don't have by way of big names, the Portuguese club makes up by their boundless energy, speed and skill. Moreover playing at home will give them that extra bit of edge. At Basel in the 1st leg, the Swiss team displayed none of qualities they showed when they knocked out Liverpool in the Group stage match at Anfield. The Swiss side are a hardworking lot but lack true match-winners. Marco Streller and Shkelzen Gashi are energetic forwards but fall short of that killer instinct that could unsettle hardened Porto defenders like Maicon, Danilo and Ivan Marcano. But Paolo Sousa's side will have to convert whatever opportunities they get into goals if they are to make through to the last eight. They will have to replicate their Anfield feat if they are to make a match out it. The advantage surely lies with Julen Lopetegui's men going into Tuesday night's clash. Basel will have to come out with the performance of their lives to go past this one. Incidentally these two have never met each other prior to the 1st leg clash at Basel last month.